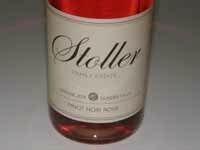 Rosé is a bit of enigma for Pinot Noir producers. Consumers love it and usually eagerly snap up all of a winery’s production shortly after release. The problem is that you can’t charge much for Rosé, despite the expense of Pinot Noir grapes and Rosé production. 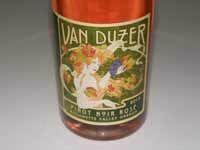 Premium Rosés have an image problem because they are referred to as “blush” wines, and are often thought of as White Zinfandel equivalents. About $18-$22 seems to be the sweet spot to attract consumer interest, and at this price level, wineries receive little or no profit. The popularity of Rosé wine is skyrocketing, but domestically and in countries like France. According to a January 2014 Nielsen report, retail sales of premium rosé wines (bottles priced at or above $12) rose by 39 percent on volume and 48 percent on value last year. The best Rosés come from producers who dedicate a special part of their vineyard to Rosé, groom the vines specifically for Rosé production, and give serious winemaking attention to the vinification of Rosé. When Rosé is well-made, the only thing better than a chilled glass of Rosé is another glass of Rosé. The 2013 Rosés are all of astonishingly high quality. A winery owned by Douglas Ousterhout and his spouse Nancy, specializing in Zinfandel from the Ousterhout Estate in Alexander Valley, Sauvignon Blanc from Dry Creek Valley, and uniquely, Rosés from the Russian River Valley. The winemaker is Micah Wirth who trained at Gary Farrell Winery for years, teaming up at the same time with a partner to create the Joseph Jewel brand. The Rosés are gently whole cluster pressed and free run juice is sent into tank. 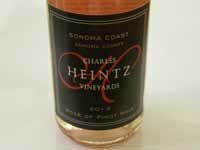 The wines were recently released at the winery’s 1st Annual Spring Wine Tasting in San Francisco. 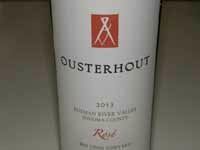 Visit www.ousterhoutwine.com.